Energy Design is a full service electrical contracting company specializing in energy efficiency, solar electric systems, battery based systems & EV charging. Energy Design is a full service electrical contracting company specializing in solar electric system design & construction, energy storage systems & EV charging. 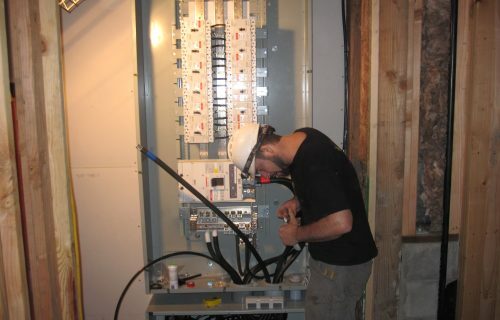 Energy Design is an Oregon based full service electrical contracting company specializing in renewable energy systems. We can help you implement reliable solar solutions to help you reduce your power bill while investing in your business & home. 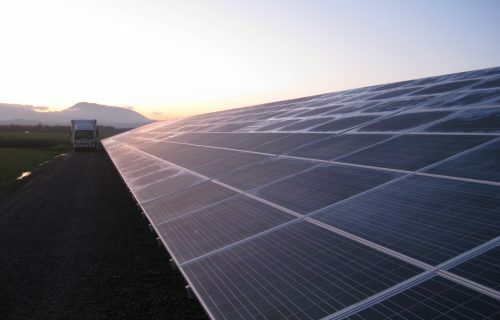 As a subcontractor for FSG Solar, Energy Design recently completed the design and installation of this 105.6kW array in Bend, OR. Check out the bird’s eye view! Energy Design did an absolutely top-notch job. The sales person was also the technical manager and really knew his stuff having worked in the field for many years and with many different types of solar systems. The staff that actually did the installation were excellent – did it right the first time and were perfectionists in their work.